The region has the closest beaches to the Central Valley—in 2010, the Caldera Highway, a toll road that runs from the Valley to the coast, opened up and cut drive times in half, if not more. Drive times vary depending on where exactly you’re coming from and where you’re going. But a good example is Atenas, an expat haven just off the highway. You can jump in your car and have your toes in the sand in about 45 minutes. On the flipside, expats who live on the Central Pacific coast can be in the Valley and San José quickly. And that means easy access to the country’s best public and private medical care, the top shopping at stores like Walmart and a warehouse shopping club called Pricesmart (similar to Costco), and other big city conveniences. And, of course, the main international airport is just outside San José as well. Below is a selection of images of the beaches within easy drive-time reach of the Central Valley. The skyline of Jacó’s beachfront has grown steadily over the years. One of the most developed beach resorts in the country, Jacó has plenty of options for dining, shopping, watersports, and just lazing on the beach. As an established destination that caters to tourists, the area has a developed infrastructure and all the modern amenities. You can get most of what you need at local groceries, hardware stores, department stores, and more. The roads are in good shape in most areas, although off the main roadways and in the smaller beach communities the roads will be unpaved. Not rough enough to require a 4WD anywhere. Cell phone reception is good—and 3G and even 4G is available for your smartphone. High-speed Internet and cable or satellite TV are also readily available. If you choose to live on the Central Pacific coast, you also have a nice mix of landscape and lifestyle. 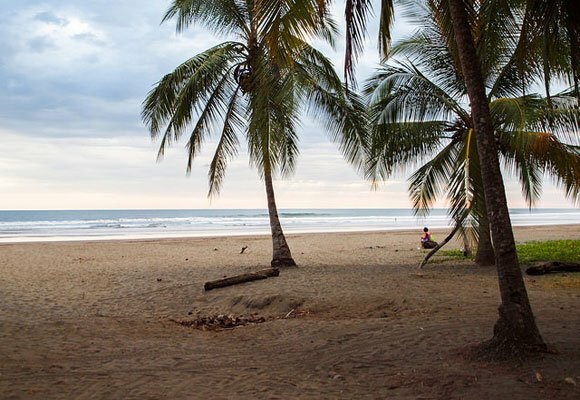 There are bustling beach resort towns like Jacó with nightlife, restaurants galore, and plenty of shopping. The action is set amongst tall condo and hotel towers and large resorts on a main “strip” that parallels its long curving beach. 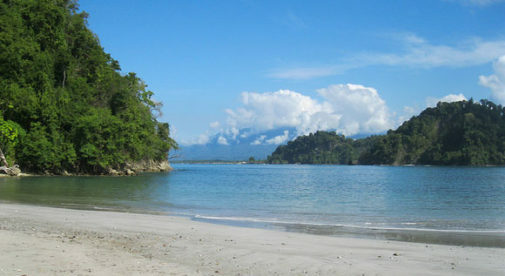 Then you have the more low-key community of Manuel Antonio, just outside the most popular national park in the country. Here homes, hotels, and shops line a winding road that runs along seaside cliffs. You get spectacular views of verdant rainforest, limestone cliffs, white sands, and clear blue water. And in the national park you see three species of monkeys, two species of sloths, and dozens of species of birds. And these creatures don’t restrict themselves to the park; they could be your new neighbors. 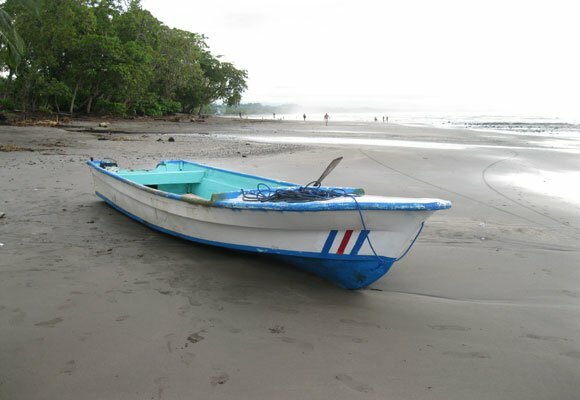 Set in between the larger settlements and tourism focal points of Jacó and Manuel Antonio are working fishing villages like Esterillos and mostly residential communities like Bejuco. Here you get peace and quiet (some find it too quiet) and no crowds. And the conveniences of the larger towns are just 20 to 30 minutes down the road. 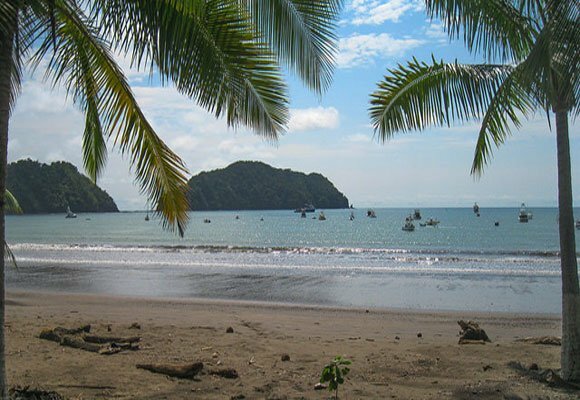 In Playa Herradura, you have a beach in a protected cove—so the water is great for swimming. And one of the largest and most luxurious residential resort communities, Los Sueños, is located here. But homes outside its gates are a fraction of the cost. In all these places, surfing, trekking and wildlife watching, boating, sport fishing, and just plain hanging out on the beach are favorite outdoor activities. But expats here also have active social lives with parties, get-togethers at local restaurants and watering holes, and church activities and community work all popular. If you’re looking to rent or buy, there are lots of options. From highrise condos along the water in Jacó; homes in the gated communities of Bejuco a quick walk to the beach; casitas in the forest with the ocean just down the road in Esterillos; and the large luxury homes of Playa Hermosa. And price points are wide-ranging as well, with even properties close to the beach for sale and rent at reasonable prices. For example, a small, basic two-bedroom condo in a gated community in the center of Jacó just a few minutes’ walk to the beach recently listed for $75,000. A larger two-bedroom penthouse condo just a few steps from the sand and with luxury touches like granite countertops will run you $213,000. In the fishing village of Esterillos, which is mostly residential and has attracted a small number of expats, there is a three-bedroom home in a gated community a short walk from the beach. It’s listed at $250,000. In nearby Bejuco is another three-bedroom home in a gated community, this one with community pool, tennis courts, and clubhouse. The beach is within a 10-minute walk. Price: $185,000. On the rental side, there are plenty of options as well. And renting for a few months….even six months or a year…is a great way to get to know the region and find the community that fits your needs. 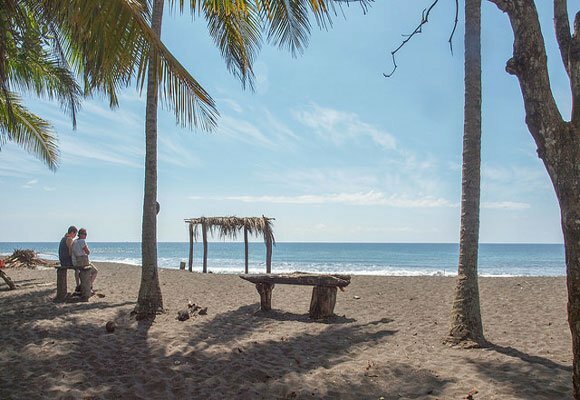 A furnished, two-bedroom villa in Playa Hermosa set on the community pool will run you $800 a month. In the heart of Jacó is a two-bedroom, 1,648-square-feet oceanfront luxury condo. Fully-furnished and decorated, it runs $1,350 a month. 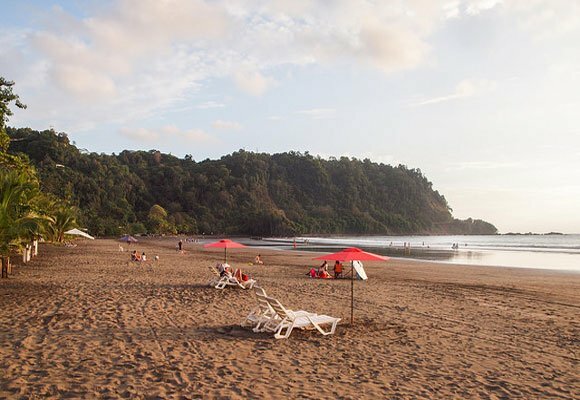 Further south, in Manuel Antonio, is a fully-furnished two-bedroom condo for $700 a month. 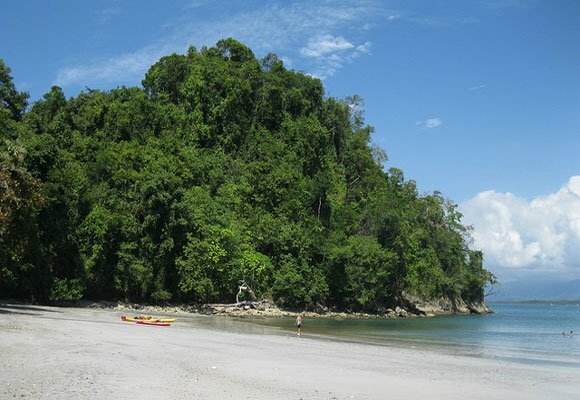 It’s set in the jungle five minutes from the national park and the main beach.